Welcome to Ardee Business Park & Training Centre. We offer a range of flexible office unit sizes to suit every type of business. Our office space has been designed to the highest of standards with broadband and networking facilities in a ready to go form. The Business Park is fully serviced by a Metropolitan Area Network allowing for High speed Fibre connectivity for your business – See Map. Our offices can be let individually or linked to form larger units to meet your requirements. As a tenant of the Business Park you will have 24 hour access to the building which is serviced by a state of the art reception area. All our office units are accompanied with ample parking. Ardee Community Development Co. Ltd. is a community-owned project, based in Ardee, serving local entrepreneurs and businesses. 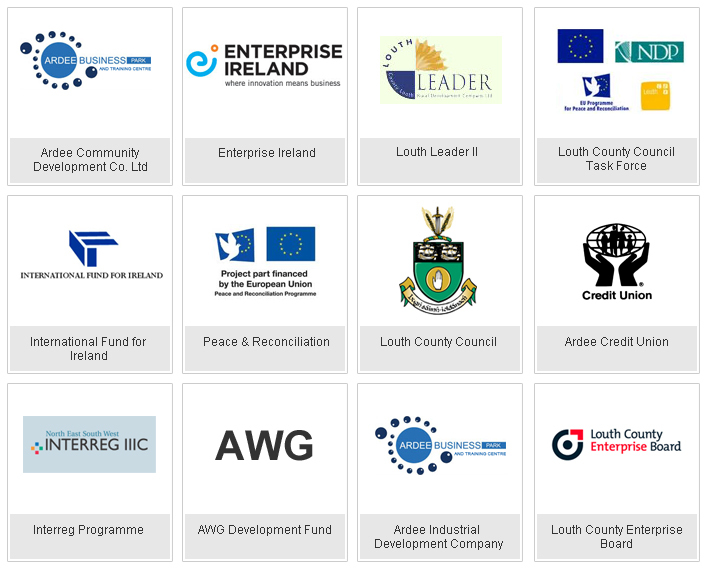 Below are a list of Ardee Business Park funders and our directors. Jim Malone, Colman O’Flynn, Martin Whately, John Kieran, Anita Thomas, Patrick Callan, Hughie O’Neill, Thomas Mc Evoy, Albert Mullarkey, Deirdre MacCormack, John Delany, Grainne McKeown, Siobhan Jordan, Gary Dunne.